LOS ANGELES, March 9, 2010 /PRNewswire/ — Square Enix, Inc., the publisher of Square Enix® interactive entertainment products in North America, announced today that the eagerly anticipated 13th entry in the series, FINAL FANTASY® XIII, is now available at retail outlets across the nation. 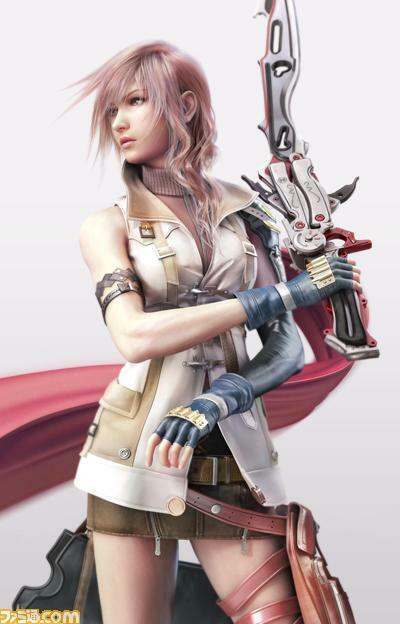 Developed for both the PlayStation®3 computer entertainment system and the Xbox 360® video game and entertainment system from Microsoft, FINAL FANTASY XIII marks the dawning of a new era for the celebrated franchise. Offering nothing less than the finest creative vision, graphical quality and gameplay system of its generation with every installment, the FINAL FANTASY series has continued to captivate audiences around the globe, shipping over 92 million copies worldwide. FINAL FANTASY XIII is no exception to this legacy, and promises to introduce players to a dynamic gaming experience with breathtaking, never-before-seen sights, unparalleled storytelling and an addictive new battle system. Cocoon — a utopia in the sky. Its inhabitants believed their world a paradise. Under the Sanctum’s rule, Cocoon had long known peace and prosperity. Mankind was blessed by its protectors, the benevolent fal’Cie, and believed that tranquil days would continue forever. Their tranquility was shattered with the discovery of one hostile fal’Cie. The moment that fal’Cie from Pulse — the feared and detested lowerworld — awoke from its slumber, peace on Cocoon came to an end. Fal’Cie curse humans, turning them into magic-wielding servants. They become l’Cie — chosen of the fal’Cie. Those branded with the mark of a l’Cie carry the burden of either fulfilling their Focus or facing a fate harsher than death itself. A wish to protect the world. A promise to challenge destiny. After thirteen days of fates intertwined, the battle begins. Take Part in a Gaming Experience That Sets New Standards – The first in the series developed for a simultaneous release on multiple high-definition consoles, FINAL FANTASY XIII pushes new boundaries in cinematic presentation, sound and gameplay. Experience the Unity of Speed and Strategy with the Ultimate Active Time Battle System – The familiar system has evolved, granting players the freedom of executing numerous commands in a single turn with the multi-slot ATB gauge. Whether inputting singular commands in each slot for consecutive attacks, or expending multiple slots at once to activate a devastating blow, it’s up to the players to respond effectively to the battle conditions at hand. Adapt to the Ever-Changing Tide of Battle with Paradigms – A brand-new game mechanic enabling players to assign roles to their party members at any time during battle, shifting between combat paradigms. Consisting of various combinations of the game’s six roles, ranging from Commando, the offensive specialist, to Medic, the quintessential healer, paradigms allow players to respond and adapt instantly to any given situation to turn the tide and seize victory. Witness the Battle Scene Transform with an All-New Summon System – Introducing Gestalt Mode, a powerful dimension of the summon system that elevates the action to a whole new level. In Gestalt Mode, characters and their transformed Eidolons fight as one, dealing massive damage to enemies through simple button commands. Delve Into an Emotional Experience – An immersive storyline connects players to an intriguing cast of characters. Will they have the strength to confront their cursed fates, or will destiny prevail over all that they believe in? A Brand-New Song for an International Audience – Multi-platinum, Grammy-nominated singer and songwriter Leona Lewis has come on board with Square Enix to provide her new song, “My Hands,” for the North American and European versions. 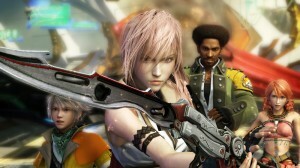 About Square Enix Co., Ltd. and Square Enix, Inc. FINAL FANTASY, which has sold over 92 million units worldwide, and DRAGON QUEST®, which has sold over 53 million units worldwide — under one roof. Square Enix is one of the most influential providers of digital entertainment content in the world and continues to push the boundaries of creativity and innovation. Square Enix, Inc. is a wholly-owned subsidiary of Square Enix Holdings Co., Ltd. with offices in Los Angeles, California. It handles operations in North America, including development, localization, marketing and publishing of Square Enix titles. More information on Square Enix can be found on the Internet at http://www.square-enix.com. Ogilvy Public Relations for Square Enix, Inc.
©2009, 2010 SQUARE ENIX CO., LTD. All Rights Reserved. CHARACTER DESIGN: TETSUYA NOMURA. DRAGON QUEST, FINAL FANTASY, SQUARE ENIX and the SQUARE ENIX logo are registered trademarks of Square Enix Holdings Co., Ltd. in the United States and/or other countries. “PlayStation” is a registered trademark of Sony Computer Entertainment Inc. Microsoft, Xbox, Xbox 360, Xbox LIVE, and the Xbox logos are trademarks of the Microsoft group of companies and are used under license from the owner. This entry was posted in Featured, News by admin. Bookmark the permalink.